We all know how new technologies make our lives easier. Especially, when it comes to means for managing your cryptos. We at Changelly are so excited to work with other teams and participate in making cryptocurrency market easy and friendly place for everyone. That’s why you can find Changelly integrated with many multicurrency wallets. With Changelly onboard, they will allow you to easily swap between one crypto asset to another at the best rate available right within the wallet app! Coinpayments is a large multi-currency online wallet. It is also available as an Android app. You can download Coinpayments app to your smartphone and fully control your funds. All your payments via this wallet are secured with the BitGo multisig technology. Moreover, the wallet can protect your currency in the vault and wait for a certain time before money is spent. Each time you want to swap one coin to another, you do it via Changelly. Jaxx is a multicurrency wallet created by the well known Decentral team. The wallet itself is famous for its user friendliness and cool features. Jaxx security is top-notch, all private keys are stored on your device. In addition to that Jaxx respects privacy and does not require your personal info or even mail when you start working with it. 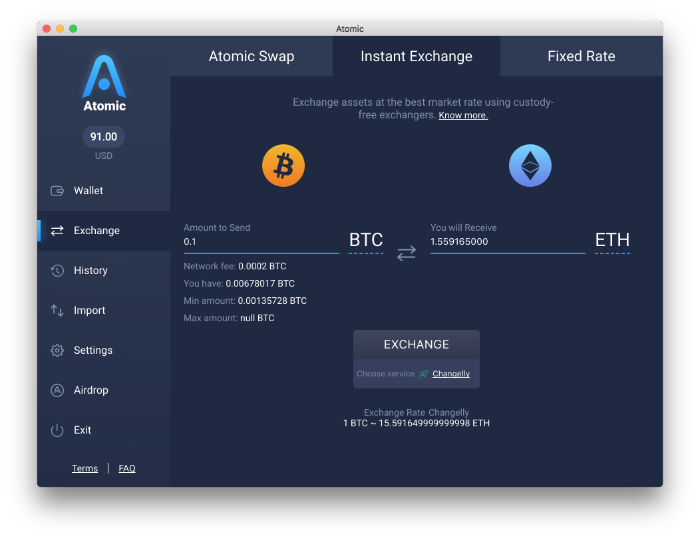 New application version will include Changelly integration that will allow you to instantly swap between coins. Breadwallet is a highly secure and quite user-friendly wallet application that allows to send and receive Bitcoins in the easiest manner possible. The team behind Breadwallet focuses on seamless use, privacy and security. This is the only wallet that stores your funds right in your smartphone. Our API for Breadwallet is on the integration stage. 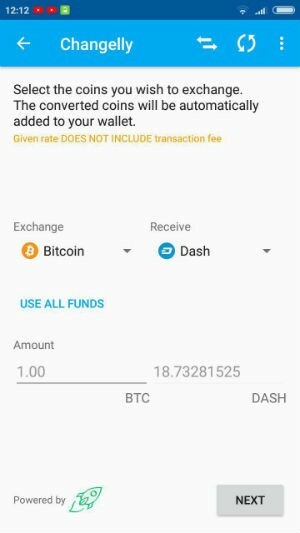 Soon, Breadwallet users will be able to send any coin supported on Changelly and get their Bitcoins right in the app! Mycelium is a Bitcoin company with the broad range of products, mostly known as one of the first (and best for crypto-anarchists and geeks) Bitcoin wallets with more than 500 000 users. The wallet provides a set of tools and features for storing and sending Bitcoins in the safest manner possible. In 2014, Mycelium was granted the reputable award “Best Mobile App” like a wallet with superior bank-grade security. Naga Wallet is a new multicurrency wallet with a range of unique features simplifying the use of cryptocurrency. The wallet enables users not only to perform instant exchanges between platform users but also allows them to pay 50% less in transaction fees. Its users will also have access to the unique feature that enables users to send and receive crypto payments using their email address rather than the hundreds of complicated numbers that currently constitute cryptocurrency addresses. We are lucky to integrate our product into these amazing wallets, but we are not going to stop knowing that there are even more cool products out there. Subscribe to our Twitter, Facebook, Medium to keep in touch with our updates!